Life insurance is an essential part of any financial planning program. Life policies can be used to pay off a mortgage, cover future education expenses, fund a business buy-sell agreement, and most importantly, protect your family for the future. The type of Life insurance policy you need (and the coverage limits) will depend on your personal and financial goals. Your CoSaint agent can help you determine what the best options are for you. CoSaint offers Life insurance in South Carolina, North Carolina, Ohio and Kentucky. When it comes to Life insurance, CoSaint will work with you to assure you have the appropriate amount coverage at the right price. As an Independent Insurance Agency, we will get quotes from leading insurance companies to help you select the most effective and affordable coverage possible. We will then walk you through your options and help you identify additional savings. You will feel fully secure knowing CoSaint is with you every step of the way. Get Life Insurance Quotes from the Leading Providers Now! Term Insurance provides affordable life insurance coverage for a specific amount of years. Term Life is designed to provide protection for defined periods of time. 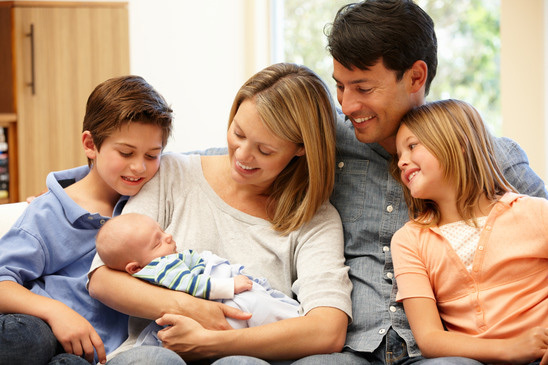 As a result, Term life insurance can play an important role in your financial plans by providing your family with essential income to help pay off your consumer debt, dependent care, college education for dependents, funeral costs, mortgages and other expenses. If you do not currently have life insurance, a Term Life policy may be a good place to start. Term Life policies are usually less expensive (initially) than permanent life insurance. Policies are available in varying time periods, with fixed premiums typically from one year (annual renewable term) to 20-year (level term) periods. In addition, Term Life insurance is sometimes convertible to permanent coverage in order to provide you with additional flexibility as your needs change. Permanent Life Insurance can provide protection for your entire lifetime. Permanent Life policies pay a benefit to a chosen beneficiary upon the death of the owner of the permanent life insurance policy. If you are the policy owner, in the event of your death, your beneficiaries would receive a lump-sum payment known as the death benefit. Permanent Life policies can build cash value at a guaranteed interest rate and can be borrowed for personal needs. These funds can be used to help cover expenses and ensure loved ones are on good financial footing moving forward. Universal life insurance is a form of permanent life insurance characterized by flexible premiums, varying face amounts, and unbundled pricing structure. Universal life can build cash value (with an interest rate that may adjust periodically) and is usually guaranteed not to fall below a certain percentage. Medical payments coverage will pay for the cost of needed care that is the result of a boating accident. This coverage is available in various amounts and covers you, your passengers, and even your water skiers/tubers. When Should I Review My Life Insurance Needs? The right life insurance coverage for you will depend on your personal and financial needs. As your personal and professional life changes, your life insurance coverage may need to be adjusted in order to adapt to your current needs. Call CoSaint Insurance today or stop by either our Charlotte, NC or Fort Mill, SC office and we will help you identify the best life insurance option for you.